Concert poster collector Scott Mussell is offering cash for this and other Prince poster. To find out more contact him at srmussell@me.com or 515.707.7250. WANTED: PRINCE 1982 ROCKFORD, ILLINOIS CONCERT POSTER. What's that noise...? 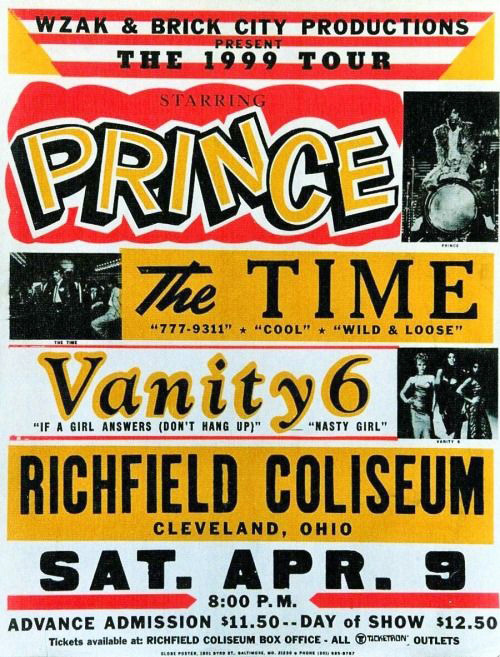 Prince in Illinois... or maybe cha-ching if you happen to have an example of this 1982 poster advertising tickets for a concert at Metro Centre in Rockford, Illinois, on March 5, featuring The Time, Zapp and Prince. "I'd pay $1000 for one" says concert poster collector Scott Mussell adding "It's hard to find Prince material and this is really a gem I'd love to add one to my collection." Mussell is also seeking other Prince posters from the early 1980s as well- especially those printed on cardboard by Globe Posters Baltimore. "Globe produced tour blanks for several early career Prince tours, I'd love to hang one next to the 1957 Little Richard poster on my wall also produced by Globe" Mussell notes. That's high praise considering Richard's importance in the history of rock 'n roll. Prince is perhaps the most unique star of the 80s or any decade for that matter with his combination of unabashed style and unquestioned artistic integrity. 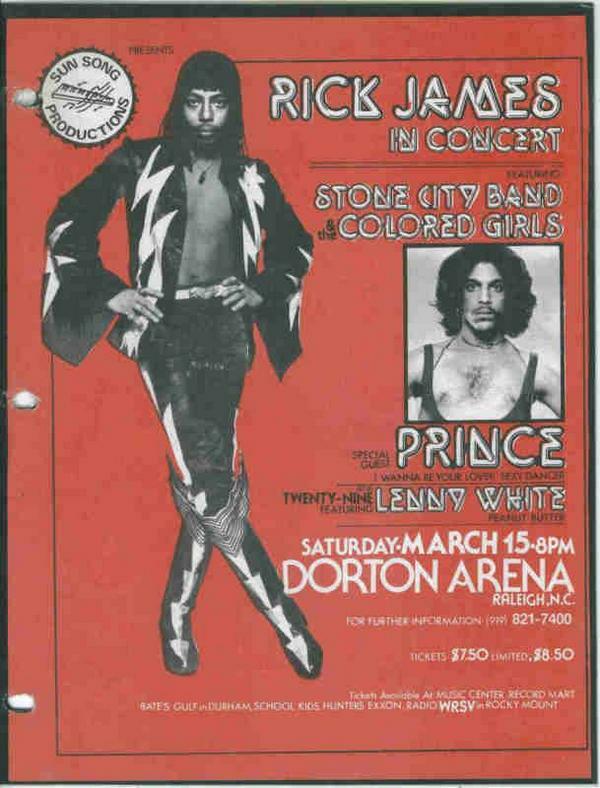 Mussell is seeking concert posters in any condition- if you have an example of a poster advertising a Prince concert that occurred before 1984 contact Mussell at srmussell@me.com or 515.707.7250 any time. Concert poster collector Scott Mussell is seeking this and other pre-1984 Prince concert posters, especially those produced by Globe Posters Baltimore. If you have an early Prince concert poster Mussell wants to hear from you contact him at srmussell@me.com or 515.707.7250 any time.